Non-Cylindrical device shapes are also used in the Pharma and Healthcare market. These devices can include very stringent labeling requirements including application of labels and wrapping of labels around the circumference of the Device. Non-Cylindrical devices present very unique challenges for label wrapping specifically to ensure that the label is applied correctly and tightly around all of the surfaces of the Device. The label placement requirements may include both Axial and Radial positional callouts and tolerances and label Skew requirements. 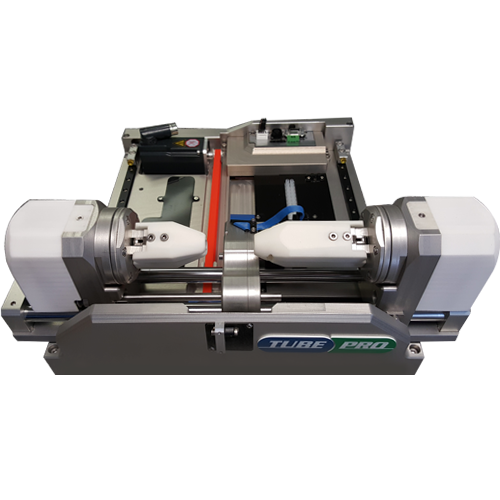 Using our PL Applicator products along with our Cylindrical Device Label Wrapping modules we can meet any specifications for label placement. We can include options to locate the Device Radial position by inspecting for specific features on the Device and using motion control systems to automatically rotate and position the Device so that the Label is applied in the correct radial position when it is wrapped onto the Device.